Grain sheds can range from backyard structures to full-sized industrial grain sheds. Prices vary by project. For an exact quote within 24 hours, send a message. Small grain sheds range in size up to 30m x 18m x 7.5m high. Grain sheds like these are suitable for small farms. Medium grain sheds range in size up to 58m x 25m x 7.5m high. Grain sheds like these can hold much larger quantities of grain. Large grain sheds range in size up to 90m x 50m x 10m high. Grain sheds like these are for large scale industrial projects. You can see a map of our recent builds below. The markers are arranged by industry and can be filtered. We spoke to Jim Riordan of Riordan Group about the grain sheds we built with him at Lara, near Geelong. 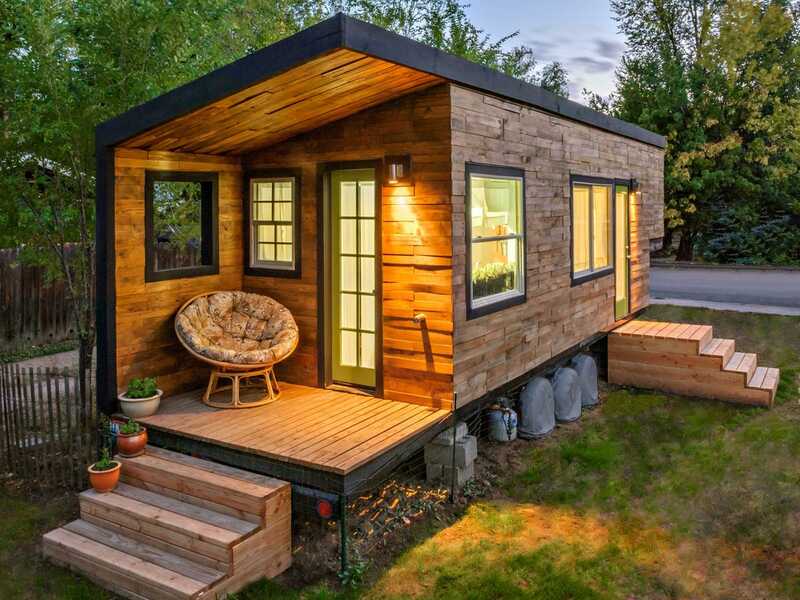 Tiny houses have become a trend lately and now it is seen to be architectural and modern to own one of these miniature dwellings. We have listed some people who took this tiny house trend to the extreme! See the seven smallest houses in the world below. The artist Jay Austin designed this house himself and built it, calling it Matchbox. It is 150 square feet. The house is mobile and is eco friendly and self sustaining, relying mainly on solar energy. The windows on this small house are huge letting an abundance of sunlight in. In the midst of the Drina River stands a one bedroom house stationed on a rock. It has been standing for over 45 years. The materials that built this house were transported via boats and kayaks It is a private vacation house that looks over the Tara National Park making it not only one of the smallest houses in the world, but also one of the most beautiful. This house was designed by 3 architecture students for the purpose of being a portable dwelling for one person. It is made to be placed in natural surroundings so the person inhabiting the house can reunite with nature. It’s total area is 8 square meters. This tiny house is complete with miniature versions of all lifestyle amenities, even a little backyard. Its total area is 28 square meters. It was built when Contractor Arthur Weeden decided to make use of the land between two usual sized houses. The smallest house in Great Britain is a private property of a fisherman, he lived in it until the local council declared it was unfit for human habitation. His descendants have turned it into a tourist attraction. It is only 10 feet high however it is comprised of 2 floors. This cabin is a mobile A-framed holiday home which is designed to allow visitors a zero emissions holiday. It’s triangle shape looks like a tent which was intended by the architect to make the holiday feel like camping. This house was designed and built by Macy herself. She having the qualifications of an architect and being short on money decided to build herself a house with the budget of $11,000. The house is made of sustainable materials and offers enough space for a small family. Quincy, a beautiful 11 year old quarter horse, was highly trained for a very specific role in the US military. It was his job to pull the coffins of deceased soldiers. There was no rider, Quincy, along with another horse, were trained to pull the coffin alone. The horses that performed this task were part of the Caisson Platoon. But after a life of honourable service, he developed lameness in his front feet and had to retire. He was known to be ‘loving and enthusiastic towards visitors and especially children,’ and there were concerns that Quincy would miss the work he had spent his life doing. The vetting process was intense, with an expert level of knowledge in horse welfare required by the adopter. Quincy has since found a new home and can live the rest of his days in leisure.